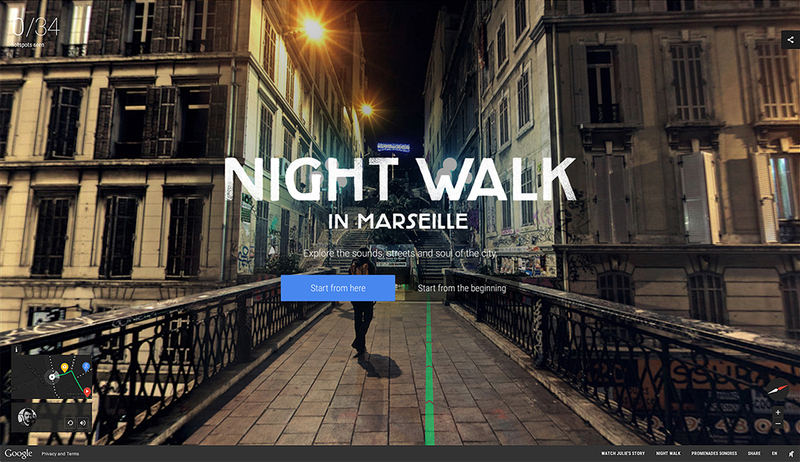 Night Walk in Marseille is the first-ever night time Street View. 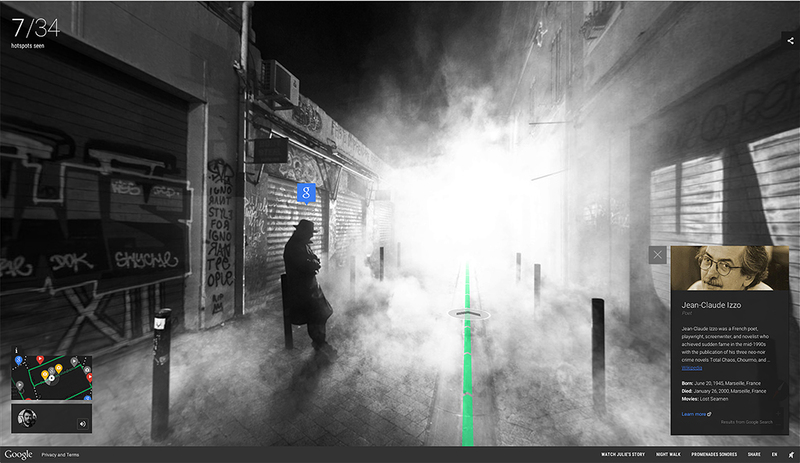 Hundreds of high-definition photospheres combined with binaural sound allow users to take a virtual tour around Marseilles creative quarter. Show the power of Google products to help ordinary people achieve extraordinary things and to motivate them to experiment with Google products themselves. 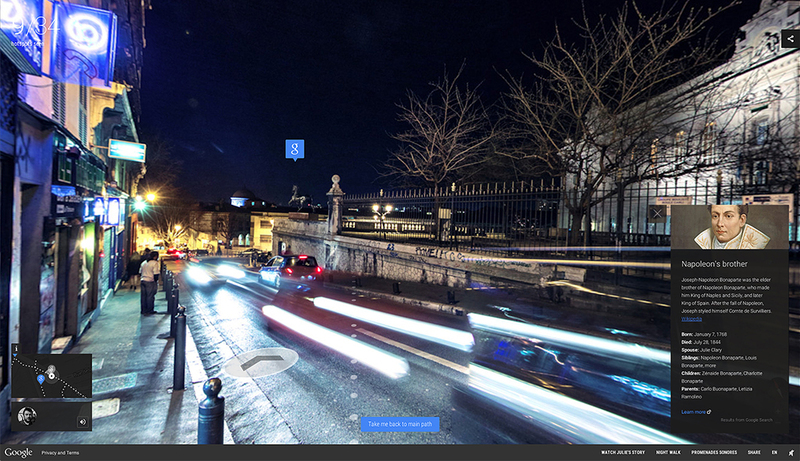 Our aim was to inspire people to do more with everyday Google products. 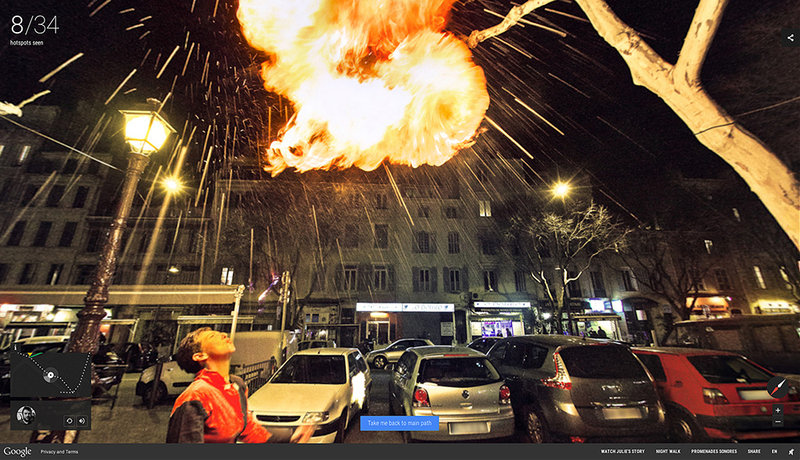 The creative idea combined documentary-style storytelling with an innovative, interactive experience. 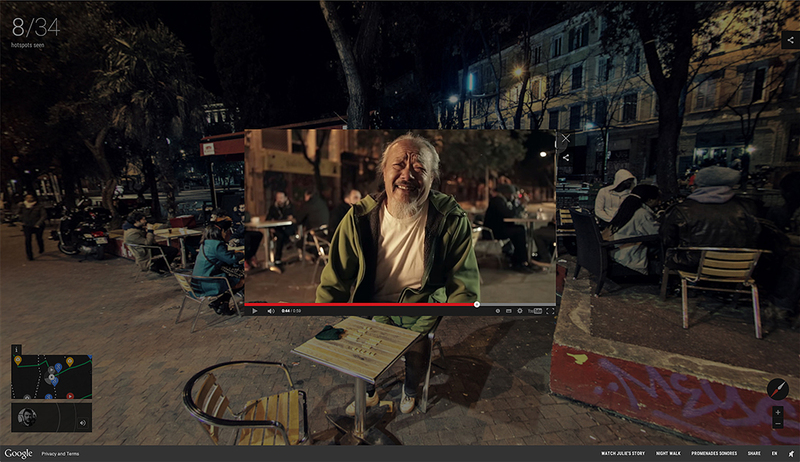 The film ends with a seamless transition to an immersive website, where users can explore the city of Marseille using the best of Google technology. For both 72andSunny Amsterdam and Google, the campaign represents what they see as the future of storytelling, combining the best of age-old approaches with the most exciting developments in technology. 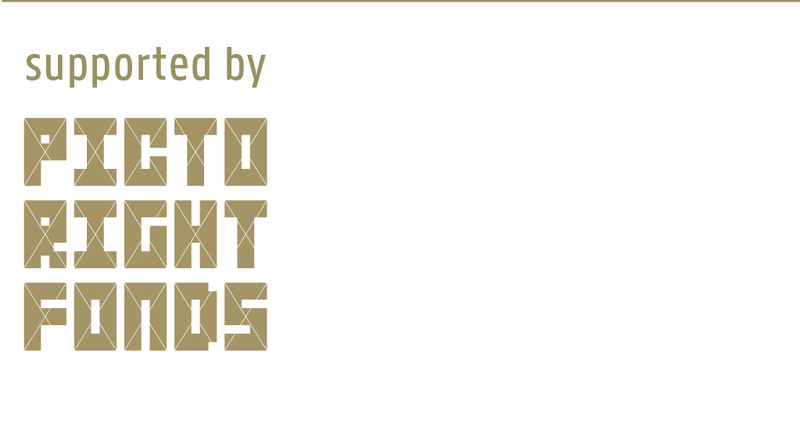 Agency: 72andSunny Amsterdam and Google Creative Lab.